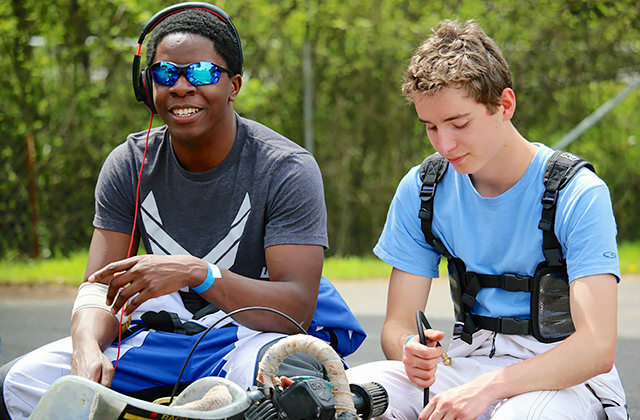 It’s been an active few weeks since the last article that I wrote to Sidepodcast about karting. My team, Xccel Racing, has been traveling around the region competing in club level and regional events which has been busy and super exciting. The biggest new thing for me has been that I’ve fortunate enough to be signed as Supported Driver through one of my sponsors, RacerTimes.com, a social motorsport ticketing and news website. They’ve been invaluably helpful in supporting me in getting to the races, as well as making sure that I have more competitive equipment. That also means that I’ve been running a new livery for my kart, which changed to this awesome new blue scheme just before the second regional race of the Gold Cup this year. As a team, we did well during Gold Cup 2. I was fast during the practice day and Saturday morning, qualifying the kart off pole in second place. However, I had a chain break in the final, which meant that I wasn’t able to finish. As frustrating as it was, we were able to gather some good data on the kart, and after reviewing some of the onboard cameras that we have mounted, we found out where the issue was so hopefully it doesn’t happen again. The next large race that I’ll be competing in will be a regionals in the TriCities area in late June. It’ll be one of the largest races of the year for me, with a supposed twenty plus entrants in my class. So to prepare for that, I’ve been going to club races and scheduling in practice days to work on getting a better understanding of how to improve the kart’s setup, and get more general seat time. As I mentioned just briefly eariler, one of the tools that we’ve been learning to get a better understanding of in the last few months has been data acqusition. 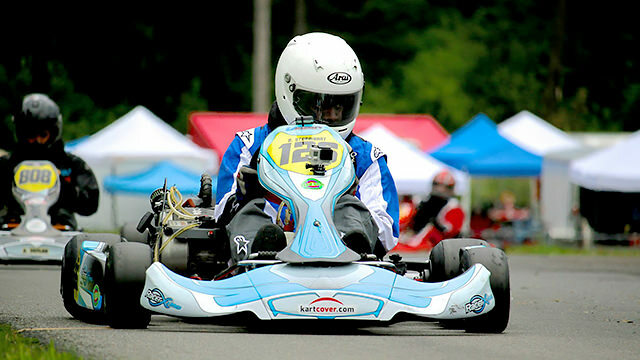 The majority of the karts on our team have AIM Mychron dataloggers on them, which depending on how they are configured record information about the engine, and handling dynamics of the kart on the track. Using the GPS positioning data on the kart and acceleratormeters, we’re starting to get a better understanding on how I’m driving, and also how some setup changes are affecting the handling. We’re only just getting started learning how to use the software, so a lot of our setup notes are still just jotted down using pen and paper. 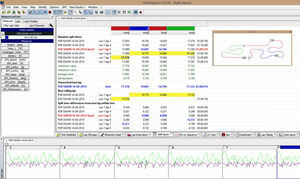 I’ve been nerding out on the Race Studio software in my spare time. During the last few weekends, I’ve gathered over 300 laps of data from the different tracks I’ve been at so, once I get a better handle on using the acqusition, it’ll be a real useful trackside tool at the races. I’ll write another post after Gold Cup race in Tri-Cities, where hopefully there will be photo of me with a trophy!